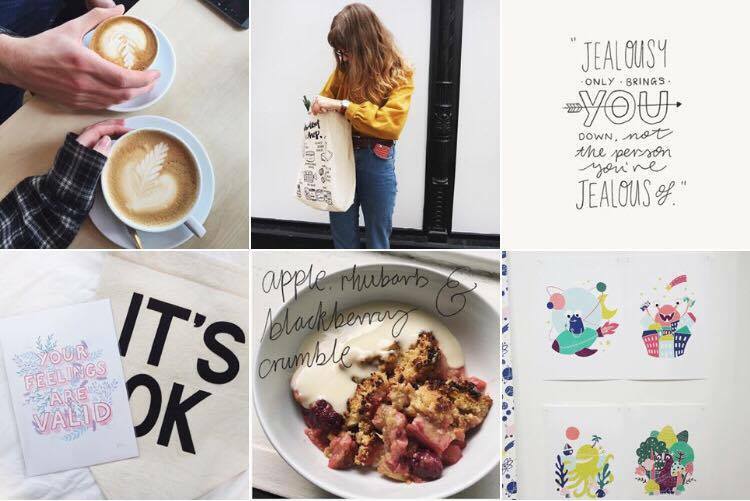 I'm back again with another round up of the Instagrams I'm loving at the mo. 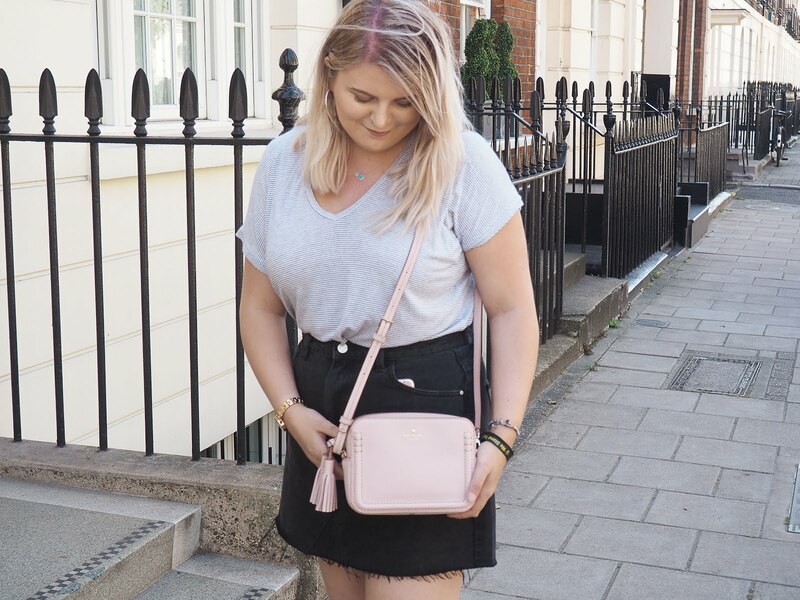 If you missed #1, feel free to head over and have a read here, as I'm very much still obsessed with all the bloggers featured in that post. I've been following Polly for the longest time now and she is just the ultimate babe. Everything about her feed screams cohesiveness and prettiness, two of my favourite things in an Instagram. She features little behind the scenes sneak peeks of things she's working on for her shop, as well as the odd spontaneous illustration here and there. 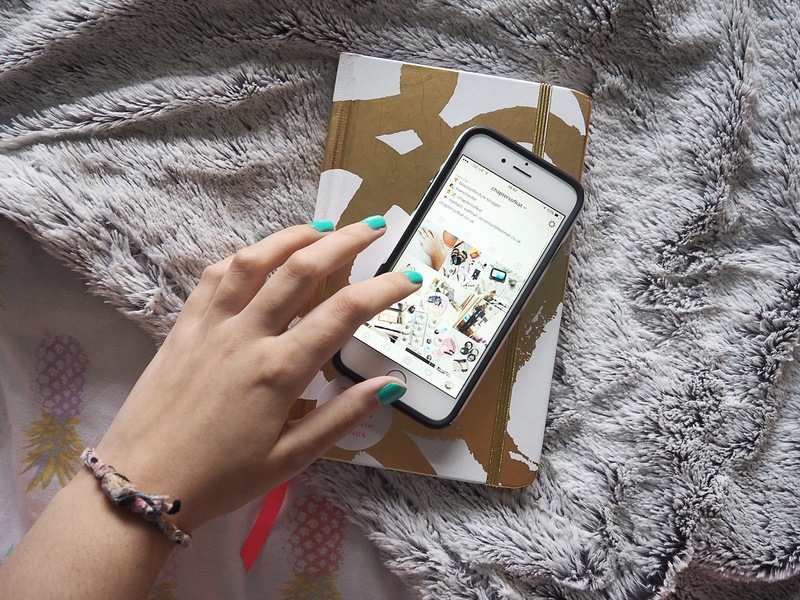 If you're into all things artsy, you should definitely give her a follow! Of course, I had to include one of my favourite people ever - Holly. You can tell she puts a lot of effort into her Instagram, as well as her blog because of how put together everything is. Literal perfection. Her feed includes the prettiest candids from her fashion shoots, goals. Another absolute babe and one of the most down to earth gals I know is Kirsty. 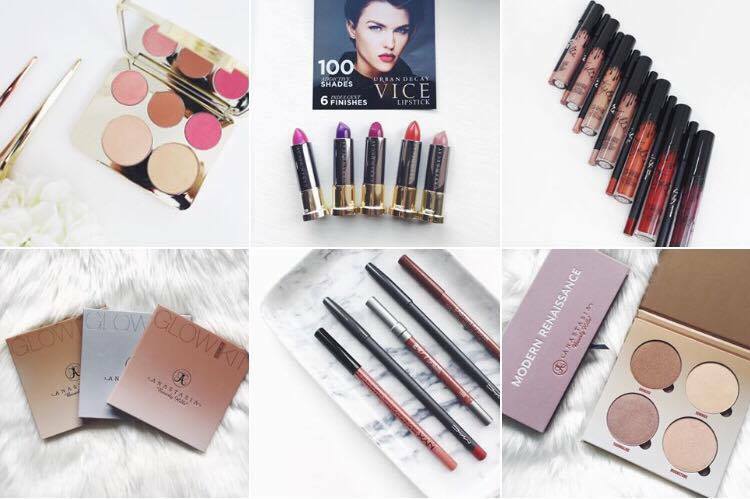 Her wardrobe, make up collection and overall lifestyle is guaranteed to make you jealous. Kirsty lives in Abu Dhabi and honestly the photos she takes of her surroundings make me want to fly there in a hot minute. Plus she has the most adorable and mischievous pup! 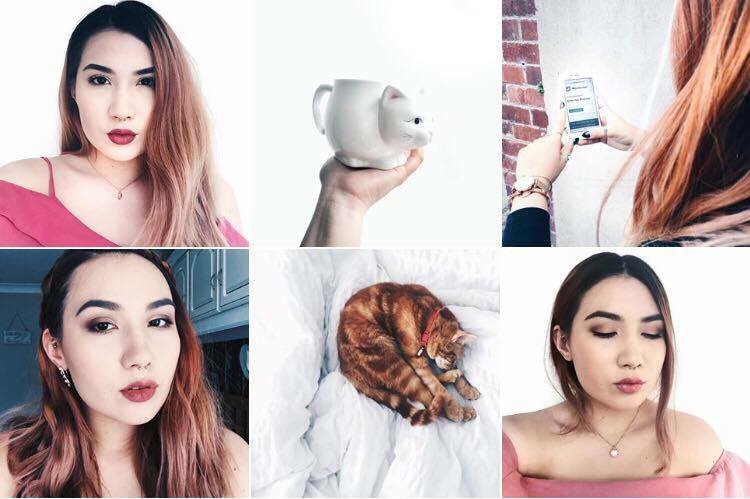 Megan's feed is so lovely, and I adore that the main focus is make up. I'm not usually keen on feeds that post similar photos but there's something about this one that is so eye catching. 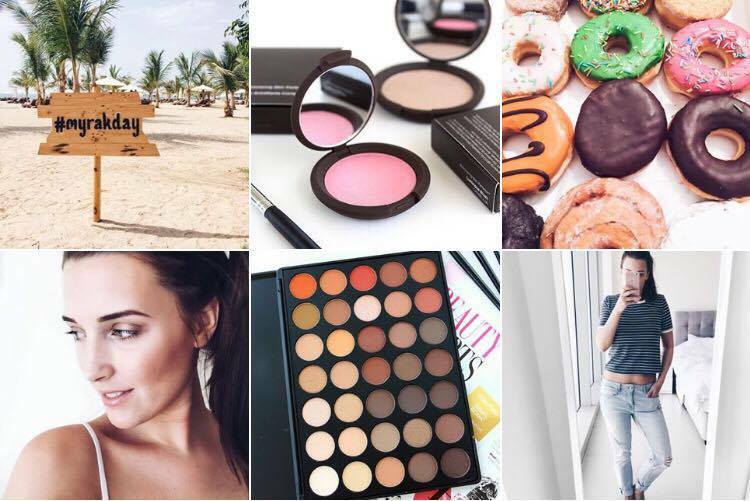 Megan is one of my more recent follows but seriously, look at the make up she owns. It's every blogger's dream. 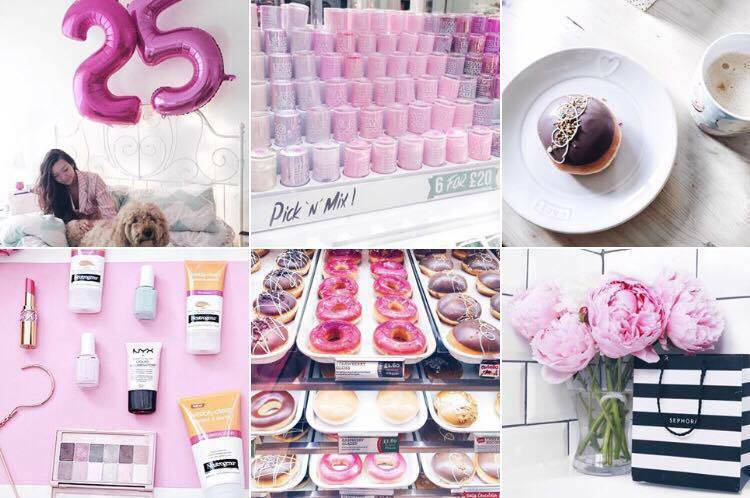 If you love all things pastel and girly, then Corrie's Instagram is an instant follow. Like, I actually want her feed to replace mine, I love it that much. Corrie is a lovely person and it's clear how much hard work goes into maintaining her Instagram, blog and YouTube channel. Make sure to check out all the accounts I've featured as they deserve all the likes and follows in the world!